Mo Wilkerson is among those that returned to practice on Sunday. 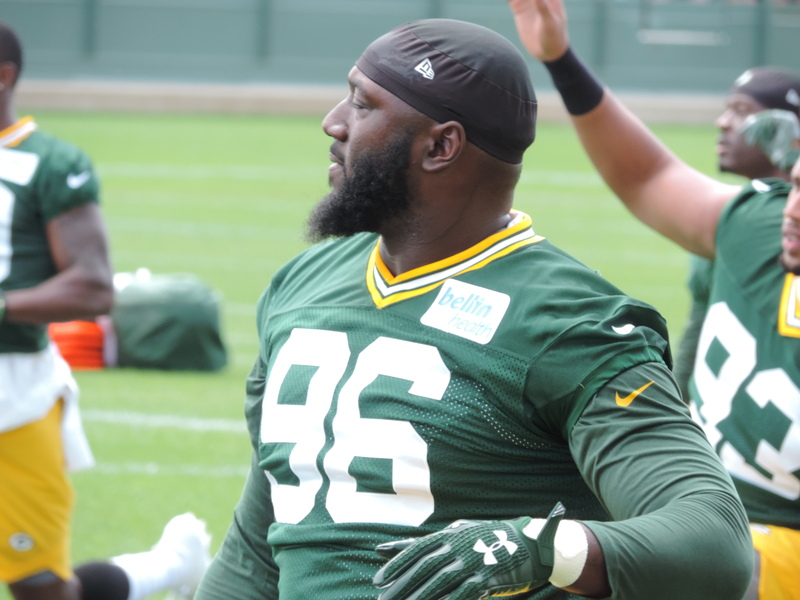 The Green Bay Packers had a number of players return to the practice field on Sunday. Defensive lineman Mike Daniels, corner Kevin King, left tackle David Bakhtiari and running back Aaron Jones all returned but didn’t take part in team drills. Corner Jaire Alexander, WR Adonis-Jennings, fullback Joe Kerridge, WR Randall Cobb, TE Jimmy Graham and defensive lineman Muhammad Wilkerson all returned and took part in all drills. The only three players that didn’t practice were WR Trevor Davis (hamstring), RB Devante Mays (hamstring) and safety Jermaine Whitehead (back). The Packers hold their last open training camp practice of the week today (Monday). The rest of the week is behind closed doors with the team set to play preseason game number two on Thursday night against the Pittsburgh Steelers at Lambeau Field.